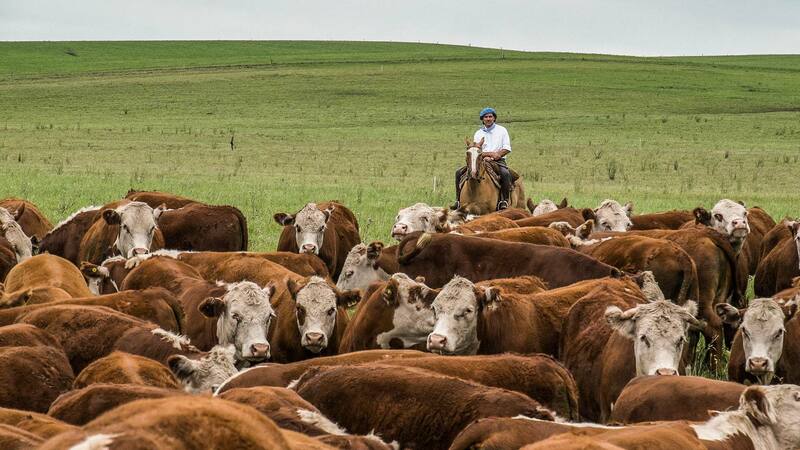 At Ojo de Agua, our cattle roams free on the great Argentine countryside, naturally grazing on fresh green pastures and whole grains, which is what gives the beef that distinct luscious flavor, impossible to achieve from a feedlot. Ojo de Agua farmers follow natural fattening plans to ensure life quality once they reach 18 to 24 months old, and 480 kilograms. Not only have we created these high quality living standards, but we are also certified in Switzerland. Our animals have a story, and it’s important to us that our customers know where the beef comes from. That is why each cut is labeled and traceable from its origin, showing the consumer that our grass-fed beef comes from the Ojo de Agua farm in Argentina and directly to your table.